Here at NUVIAD we know how important it is for our users to have detailed reports, but we also know how important it is for those reports to be easy to access and segment. We’ve made some dramatic changes to help make your reporting as effortless as possible. The first thing you will notice is that the old “Performance Reports” and “Conversion Reports” tabs in the sidebar are gone and replaced by the new “Campaigns Reports”, which is a combination of these two. 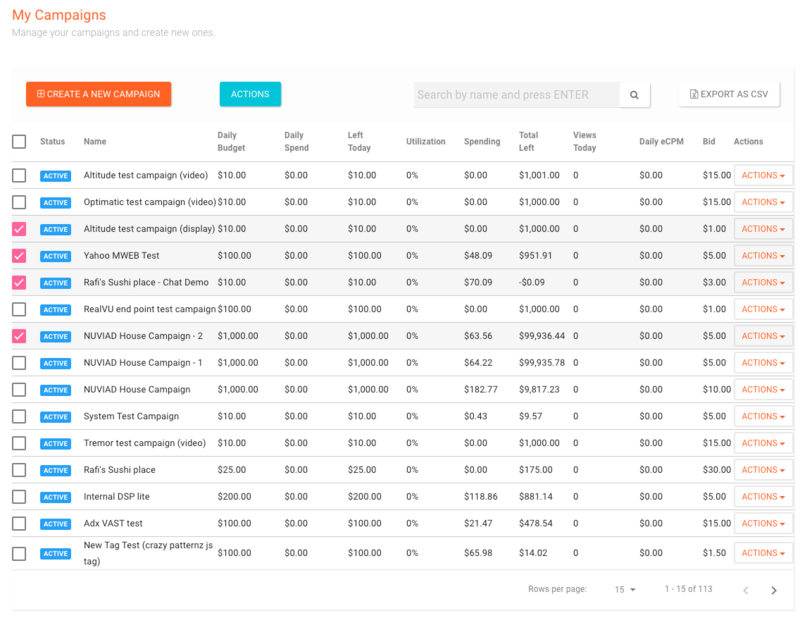 From now on this is where you will request and view reports for your campaigns. 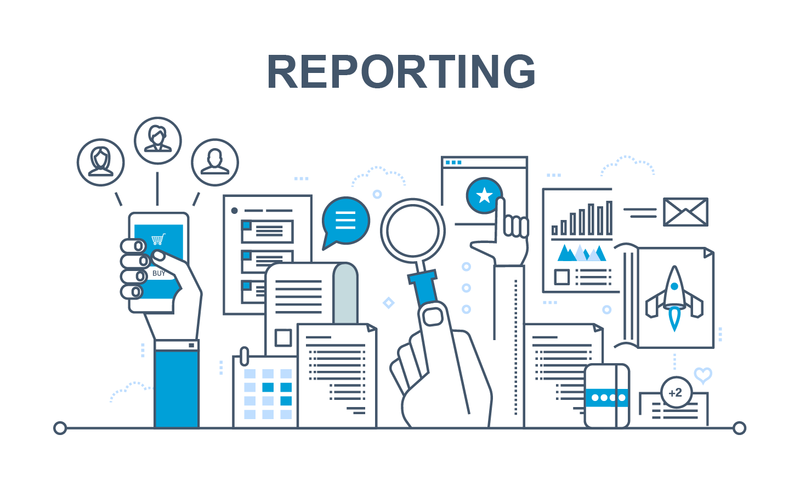 Another major change is, when requesting “complex” reports, (reports for multiple segments, all the campaigns in your account, and so on) our system will process the report in the background and will notify you via email when the report is ready. The form for requesting a new report moved to its own window, which can be accessed from multiple places in the dashboard. 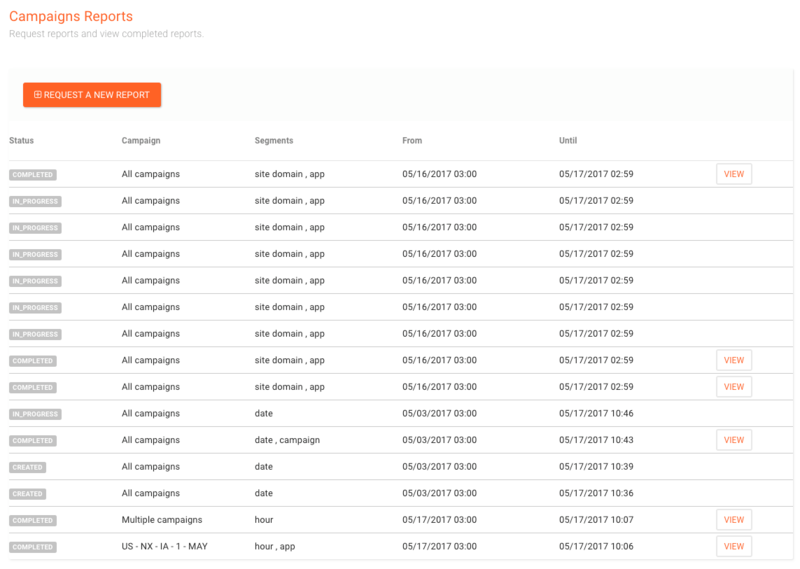 We even added an option to request a report for multiple selected campaigns – not just a single campaign or all the campaigns in the account. To make it easy for you to use the new option, we added multi-selection to the campaigns tab. All you have to do is check a few campaigns and click “Request a Report” in the new “Actions” button. Inside the new reports screen, you can view all the reports you requested, which gives you quick access to reports already created and will also tell you about the status of “complex” reports, which our system will already be working on for you. The real-time charts, located at the bottom of the “Performance Reports” screen, are currently removed, but we’ll add an alternative in the near future. 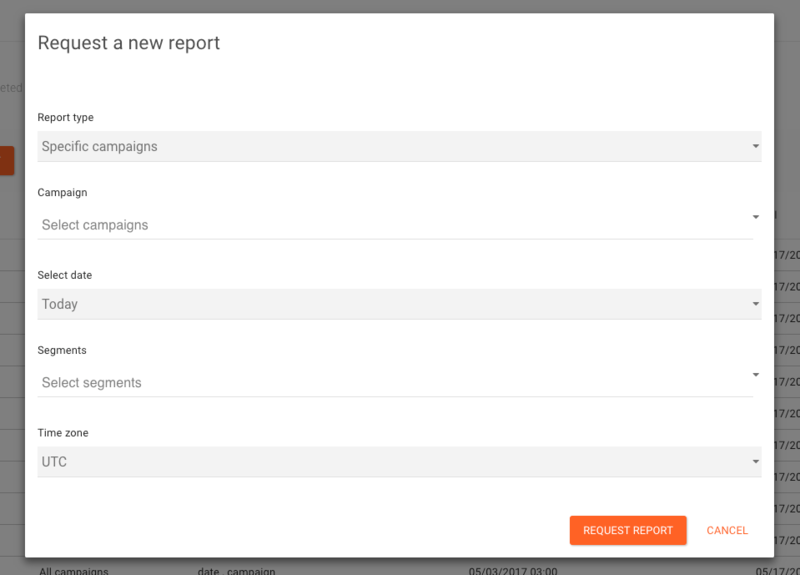 The option to request “complex” reports and report for multiple campaigns will be soon available also via API. We would love to get your feedback and hear about other improvements that could help your workflow with NUVIAD. If you have any questions or want us to show you how it works, just let us know! Make sure to sign up for our newsletter and follow us on Facebook and Twitter to stay up to date on all things NUVIAD. Thanks, this is exciting. I haven’t had a lot of success with my campaigns​ probably due to my area of only 600K population. I just feel I sometimes need more guidance. My budgets may have been to low as well but it is difficult to get a client to spend a lot when I haven’t really seen good conversions.